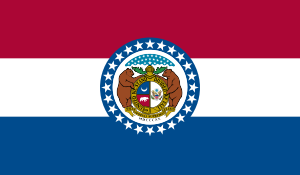 Missouri employs a good number of paralegals or legal assistants: over 4,500 according to the Bureau of Labor Statistics circa 2011, with the concentration in the major metropolitan areas and big cities. Almost 75% of those paralegals work for a major law firm helping attorneys prepare court cases by performing invaluable research, interviewing witnesses, speaking with clients, drawing up and interpreting legal documents, and so much more. Paralegals are a force unto themselves, vital to the smooth running of any employer ,which, aside from law firms, can be government agencies, non-profit organizations, and even large corporations and small businesses. Paralegals are in demand while the field continues to enjoy growth that will reach into 2018 and beyond. As with most other states outside of California, paralegals do not have any set guidelines for education or training, no authoritative body established to govern the profession though it has been discussed. A paralegal can be anyone hired to the position, education or not, though employers certainly have their preferences and deciding factors. In fact, the Missouri Bar put forth a position paper encouraging employers only to hire those paraprofessionals with certain educational requirements. It also recommended to its members to hire only those paralegals with a degree or certification in the career. In this highly competitive field it’s definitely wiser to have formal training via an institution of higher learning, or to be certificated. Certificated means to have a degree – either two year or four year- or for a Post-Baccalaureate graduate to go back to school for course-specific learning having fulfilled all liberal arts requirements. The latter option is for those with a BA in any discipline from an accredited school and takes roughly a year to complete. To become a Certified Paralegal is somewhat different and not all employers know the difference. A Certified Paralegal or Certified Legal Assistant lays claim to the title once successfully passing a specialized exam offered by one of three national paralegal associations: NALA, or the National Association of Legal Assistants ; NFPA, or the National Federation of Paralegal Associations ; and NALS, or the Association for Legal Professionals. The titles of Certified Paralegal or Certified Legal Assistant are highly respected and display a paraprofessional’s skill, competence and seriousness. Employers look very favorably on those who are Certified. There are differences between what each exam demands by way of background, education and experience, so before sitting for one of these tests, see the chart outlining those prerequisites. Cost per exam sitting also varies. Where you study can be more important than you think; an accredited school is highly recommended, especially for those who plan on getting their AA degree and then transfer to a University for their Bachelor’s degree. Accreditation is appointed by the Department of Education and should not be confused with ABA approval. ABA approval is where the American Bar Association bestows its seal of approval on a school or learning program that meets or exceeds the ABA’s stringent guidelines. ABA approval is definitely the most marketable way to go at any time, but for the Missouri Bar to recognize the paralegal’s achievements they also require accreditation by accepted regional oversight organizations and that the school itself is a member of the American Association for Paralegal Education. Missouri has three ABA approved law schools. 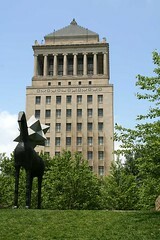 Maryville Universityin St. Louis offers both a Baccalaureate Degree and a Certificate Program in Paralegal Studies. The first will take approximately 4 years to complete and the latter should take about 12 months if going full-time. Missouri Western State University in St. Joseph extends an Associate of Science degree, a Bachelor of Science degree, and a Certificate program which does not require a Bachelor’s first though most who enroll in this program have one. The Certificate demands at least 30 hours of prior schooling before enrolling with at least 18 of those in general, or liberal, education. The Certificate then requires 33 hours of legal study courses. A minor is also offered for those on campus who have already declared a major. Internships are mandatory. Webster University in St. Louis has a Legal Studies program that offers a Baccalaureate, Masters degree, and a Post-Baccalaureate Certificate. The BA would take roughly 4 years to complete, the Master an additional 18 months to 2 years and the Post-BA Certificate about 12 months to finish. Bryan Cave is a huge firm with many international offices. Husch Blackwell Sanders boasts a large number of offices, some overseas, and several in Missouri.